What greater act of imitating God’s creation is there than starting a family? Men and women have been imitating God in this way since the dawn of time, passing on faith, traditions, and more to the present day. For those couples unable to conceive children, they often start a family through a different means: adoption. And yet the financial expense of adopting a child can be an incredible burden, leading many to abandon the idea of adoption altogether. Alumna Margaret Luckey is the executive director of Siena Adoption Services. The reality of this burden is one that Christendom alumna Margaret Luckey ’97 wants to change. Today, she is making great strides toward helping families as the executive director of Siena Adoption Services, an adoption agency that aims to make adoption affordable for families. Luckey was approached last year by Annie Surine, a Franciscan University alumna and adoptive mother, who wanted to find a way to make adoption financially possible for other families. 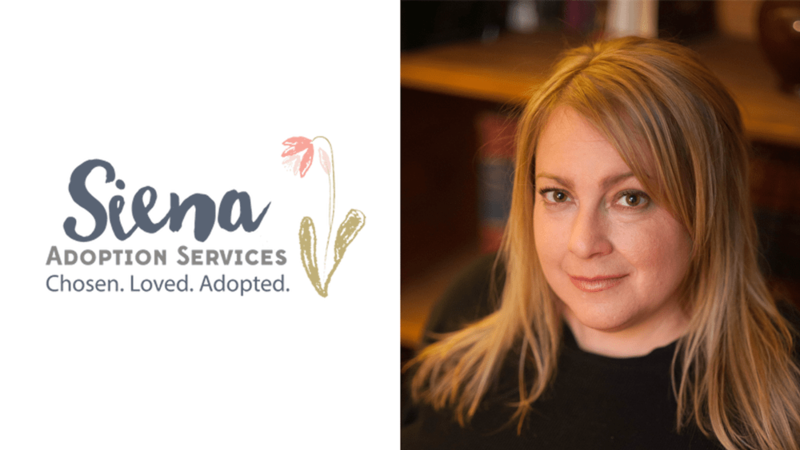 Luckey, a licensed therapist, was immediately attracted to the idea, and Siena Adoption Services was born: an organization that would provide both family-friendly and affordable services to families. 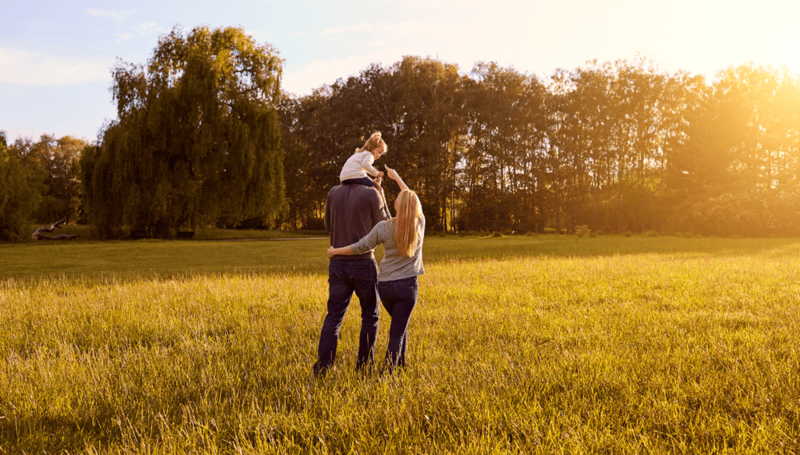 Adopting a child is a lengthy process—another prospect that can be daunting, particularly financially, to interested parents. If a couple wants to adopt a child, they first need to apply to an adoption agency, then meet with a social worker. After that, they are subject to a home study and then are entered into a pool of potential adoptive parents. If they are lucky and have a child placed with them, they still have to hire an attorney and wait before the adoption is finalized. This story appears in the summer 2018 issue of Instaurare. See more from the issue here! Siena exists to not only make that process easier but also much cheaper. While most home studies alone can cost $1,500, Siena can do it for $600 or less. Siena also provides the court report and post-placement services. Luckey, thanks to her background in counseling, is also able to offer counseling services to birth parents and adoptive families. She strives to make the adoption process both financially possible and family-friendly as well, giving families the support they need through such an important process. The organization exists for another purpose as well: encouraging mothers with an unwanted pregnancy to carry their children to term and then give them up for adoption. If Siena can accomplish both those goals, it can do more than just help people start families—it can save lives as well. If this all sounds like a lot of intense work, it is. And yet Luckey and the rest of the staff at Siena Adoption Services do all of this for free as volunteers. They care that deeply about the work they are doing that they don’t require a paycheck at the end of the day—just the satisfaction of knowing they are helping children and families in need through their important efforts. This passion and selflessness attracted another Christendom alumnus to the cause—Matthew Akers ’03, an attorney and managing partner with the law office McCarthy and Akers. When Luckey told Akers about what they were doing at Siena, Akers offered to help in any way he could. The adoption process can be complicated legally, so having an attorney able to help is a blessing. “It’s truly a privilege to assist Margaret and the rest of the staff of Siena in their work restoring all things in Christ through their service to families,” says Akers. One of the slogans for Siena Adoption Services is, “Choose to be brave. Choose to be strong. Choose adoption.” Because of the efforts of Luckey, of Akers, and of others, parents are making the choice to carry children to term and entrust them to loving families. They are, literally, saving lives and making families whole, all for no monetary gain. In today’s culture, what they’re proposing can be considered radical—a term that was used in reference to St. Catherine of Siena as well, the namesake of the adoption agency. Like her, Siena is bucking the trends of society and making a difference. Making a difference was something that Christendom founder Dr. Warren Carroll desired for every Christendom student. Margaret Luckey is living up to that legacy. Matthew Akers is too. And because of them, countless others are now being given the chance to do the same.